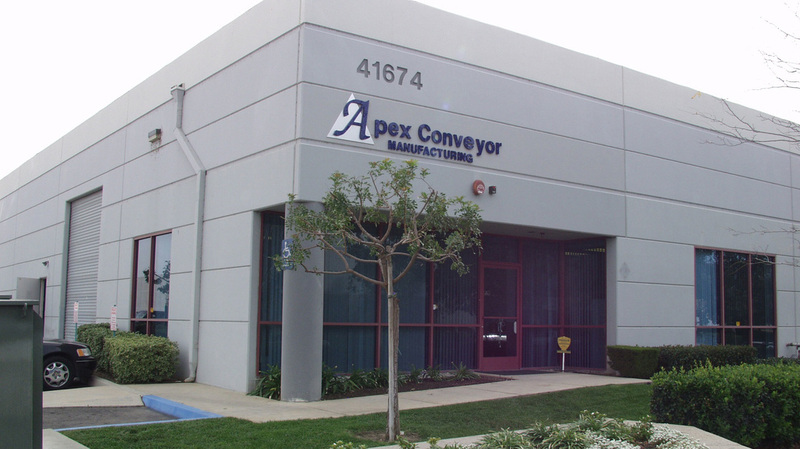 Founded in 1996, Apex Conveyor Manufacturing, LLC has grown to become one of the industry leading manufacturers of conveyor systems selling only to distributors. Apex Conveyor designs and manufactures parts and components for any conveyor system application. Our team of dedicated engineers, machinists, and assemblers produce the highest quality conveyor parts and components available. Based in Murrieta, CA, all of our conveyor products are MADE IN CALIFORNIA using the strongest materials and are designed to be durable. All of our conveyor parts and components come with a full warranty. We supply pieces to distributors and never back down from fulfilling orders on time. When your company needs conveyor parts and components, we’re there to manufacture and deliver them on time. At Apex Conveyor, our job is to help you do your job. Customer support has been our key ingredient to success and it continues to be our most important focus. We take every customer seriously, no project is too large or too small. Contact us today to learn what Apex Conveyor can do for you.